The differences between our common language (English, in case you missed blogs one and two) started a long time ago. 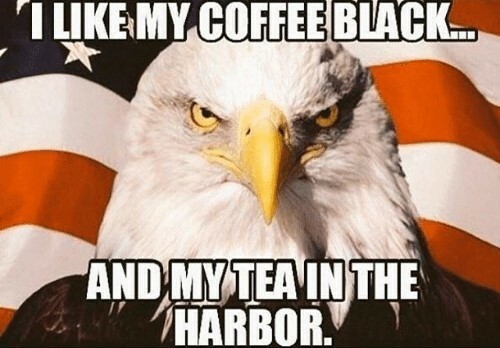 You see, Americans didn’t throw tea into Boston Harbor for nothing. We were sick and tired of being told what to do (taxation without representation!) and wanted political AND lexical independence. Not only did we beat the red coats, but we developed our own (dare I say it, better?) way of speaking and spelling too, as a matter of protest. And for the record, please don’t ruin my tea by putting milk in it. Actually, I’ll have coffee instead. We Americans are very logical people, so we decided that words should be spelled just as they sound. This led to unnecessary letters being dropped from words leading to favorite, program and jewelry, for example. They changed s’s to z’s and ended words with -er instead of -re. I think we can all agree that this just makes life easier. I mean, come on guys, the word “program” doesn’t need any extra letters, and the double l’s (like in travelling) are just excessive. But does it really matter if you write “colour” or “color”? The answer is, of course, “Yes!”, and not only because one of these is clearly wrong (I’m looking at you, colour), but also because the differences between American and British English are far more complex than just spelling. Not only do Brits add needless letters to their words, but they insist on making their grammar rules more complicated too by adding “t’s” to some past tense verbs instead of “ed” so that will be burnt instead of burned and learnt instead of learned. These are supposed to be REGULAR verbs! Brits are also fans of using “have got” instead of just a simple “have”. In British English you might hear “I have got to put some petrol in the car.” While in American English we’d say “I have to put some gas in the car.” Speaking of cars…do you have a driver’s license? (US) Or have you got a driver’s licence? (UK) Even some nouns are spelled (note, not spelt!) differently. I hope you all LEARNED something here. If the spelling and grammar differences aren’t driving you crazy yet, then just wait until you order food at a restaurant. Of course there’s the obvious differences that most people understand like chips vs. fries and crisps vs. potato chips, but why are there cookies called Digestives that don’t have anything to do with your body’s digestive system? If you order flapjacks for breakfast, don’t expect to get the golden fluffy goodness that you’re used to, just expect to be thoroughly disappointed. And good luck ordering lunch! What is a butty and why are there so many words for sandwich? “What would you like for your tea?” is “What do you want for dinner?” to an American. The confusion related to food is endless! If you’re really hungry, don’t just order an entrée because you’ll most likely be left starving due to small portion size. Go ahead and order a starter as well as a main. Oh and don’t worry, they don’t only serve pudding for dessert! At the end of your meal, don’t forget to order the bill. After all this, you’re going to need a vacation! I highly recommend you double check those flight dates, though. You’d be gutted to find out that 06/12/19 is December 6th, 2019! I heard the British Isles are a fantastic way to spend a fortnight…just don’t forget your mac! If you, too, were surprised by how much British English we had to italicise to highlight the sheer number of US/UK differences here, then you might need our help choosing the right language variant for your needs! Get in touch at hello@surreytranslation.co.uk. 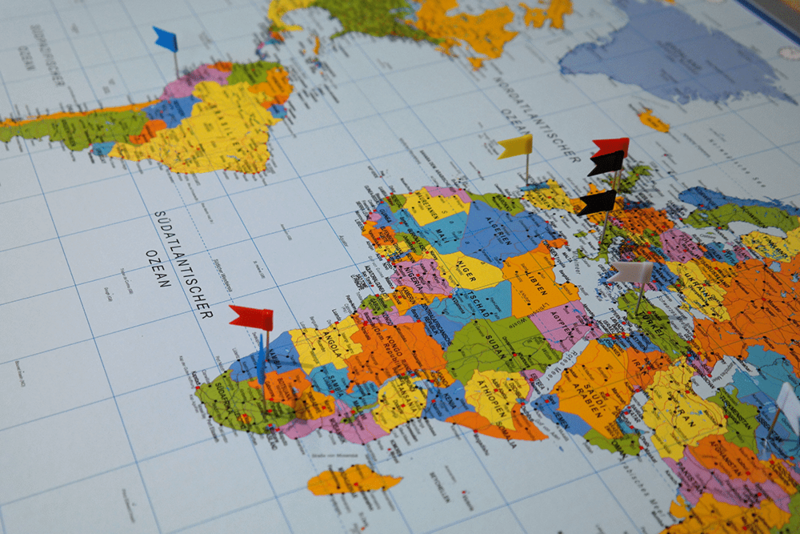 As our world becomes increasingly international, the need to make your goal, message or campaign accessible on a global scale is essential for any growing business. But, it’s commonly thought that when it comes to English, everyone speaks and understands the same language, right? We all know that US and UK English have their differences; there’s the age-old Football vs Soccer discussion, and the missing (or extra) ‘u’ in colour. Other than that, it’s all just English. Or is it? While Brits and Americans (mostly) understand each other, what you may not know is that there are a number of more complex areas that lead to slip ups, confusion and, frequently, general amusement. In a series of four blog posts, we will address a few significant differences between English variants and the importance of choosing the right language variant for your target market. 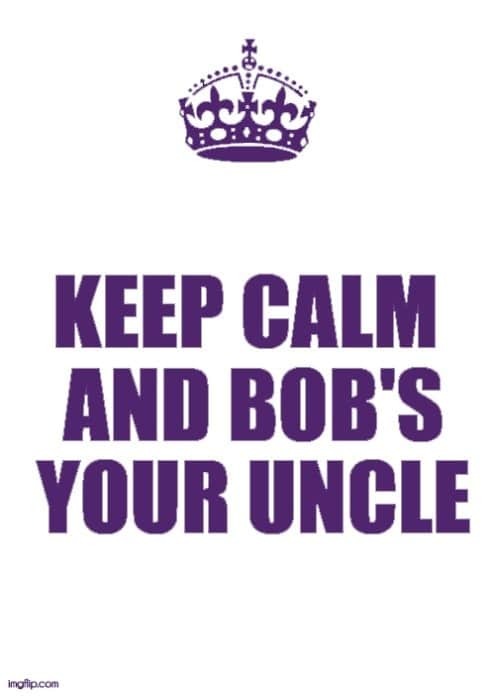 UK EN: Bob’s your uncle. If your British friend exclaims “Ah! Bob’s your uncle!”, it’s best to wipe that bewildered expression from your face and don’t try to adamantly argue that your uncle is in fact called Tony. This phrase, which is common on the British Isles, actually means “you’re all set” and has nothing at all to with your uncle, who may, or may not, be called Bob. You’ve arranged an important meeting with a British client for midday. Your watch reads 12:14 and you know you’ve got the time right, but as time passes with still no sign of your client, you double check what you actually agreed on: ‘Meeting 12:00, first floor.’ Ah… there’s your problem. If you tell a British person to head to the first floor of your office, more likely than not, they’ll end up on the floor above you as the first floor in Britain is known as the second floor in the States. UK EN: Having your finger in every pie. You’ve probably guessed by now that this phrase should not be taken literally. In the UK, when someone tells you that they have a finger in every pie, it means that you are involved in a number of projects, that’s having your hands in all the pots if you’re in the US. UK EN: To spend a penny. While these examples are more light-hearted attempts at showing the potential for misunderstanding, there are numerous other words and phrases which can cause major confusion among Brits, Americans and speakers of other varieties of English. At Surrey Translation Bureau not only can we help you to pick the right language variant, but we also offer a localisation service which takes into account not just words, but culturally-specific factors. You can reach our English language experts at hello@surreytranslation.co.uk for more information about translations into English and our localisation service. When requesting a translation, knowing what languages you want to translate into is sometimes straightforward. For a marketing campaign in Italy, you’ll choose Italian and for a technical manual for use in Russia, you’ll choose Russian. However, what happens when the country of your target audience speak and write more than one language? Or a language is spoken and written in multiple countries and there are different variants of the language? This post will explain the importance of language localisation – adapting your content to a country or region where the vocabulary and grammar used can be considerably different. It should also help you to identify which language variant is right for your document. At Surrey Translation Bureau, we get many requests for Chinese translations but what does it mean when you request a translation into Chinese? There are two main variants of written Chinese, Simplified Chinese and Traditional Chinese. Simplified Chinese is used by most individuals from mainland China and Singapore; its spoken form is Mandarin. According to a linguistic study, approximately 95% of the Chinese population use Simplified Chinese (Potowski, 2010). The second major written variant is Traditional Chinese. This is used by people living in Taiwan, Hong Kong and Macau. The spoken version of Traditional Chinese is Cantonese. Selecting which form of written Chinese is most appropriate for your translation, therefore, depends on which part of China you are aiming to connect with. We are always happy to advise you on issues of localisation if you are unsure. A country’s history often means that a language is not confined to its physical boundaries. For example, French is the official language of France, which has a population of approximately 66 million. It is also an official language in 29 other countries, from Cameroon to Luxemburg. In Belgium, French is one of the official languages alongside Dutch (whose Belgian variant is Flemish) and German. We have translators who translate standard French and those specialised in Belgian French translation, which has some differences from standard French. French is predominantly spoken in the southern Walloon region of Belgium as well as in the capital, Brussels, whose two official languages are French and Flemish. Other varieties of French include Québécois (Canadian) French and Swiss French. Flemish is spoken in Belgium, mainly in the Flanders region in the north of the country. Dutch on the other hand, is spoken in the Netherlands. Although there are similarities between Flemish and Dutch, there are many differences in the vocabulary. Therefore, it is important to ensure that you choose the correct language for translations reaching clients in Belgium or the Netherlands. All Germans write using a standardised form of German, Hochdeutsch. Austrian German and particularly Swiss German deviate from Hochdeutsch both in terms of grammar and vocabulary. Whilst standard written German is comprehensible to Swiss and Austrian German speakers, it is often necessary to localise the linguistic content (choosing different words, spellings and grammar) to make sure it is appropriate for the target market. Spanish is spoken not only in Spain but across much of South America. There are various grammatical and terminological differences between Latin American Spanish and Castilian Spanish (spoken in mainland Spain). To effectively communicate with your target market, it’s essential to use the language form that is standard to them. If you use words or grammatical structures that are unfamiliar or unrecognisable to existing or potential clients, your translations are unlikely to generate effective business results. Likewise, Portuguese is spoken in Portugal as well as Brazil among other countries. When ordering a translation, ensure your translation service provider knows where the target market is for your translation. When we localise your translation, we take many other factors into account. These include cultural sensitivities, date and address forms and even country-specific statistics. This ensures that your translation makes the right impression and does not alienate your target market. English might not immediately spring to mind when contemplating localisation, but English also varies from country to country. If you are targeting the US market, it is important to adapt your content using US spellings. This is a service Surrey Translation Bureau offers. In order to conduct business effectively, it is important to address individuals appropriately. Doing business with people from different countries and cultures can hugely grow your business and profit. However, you should make an informed decision about the right language variant with the help of your translation service provider. Hopefully, this will be us! This will ensure your translation demonstrates to potential clients how important they are to you. If you have any queries regarding language variants comment below, or if you would like advice on localisation please email us at hello@surreytranslation.co.uk or call us on 01252 733 999 to discuss your translation project requirements.